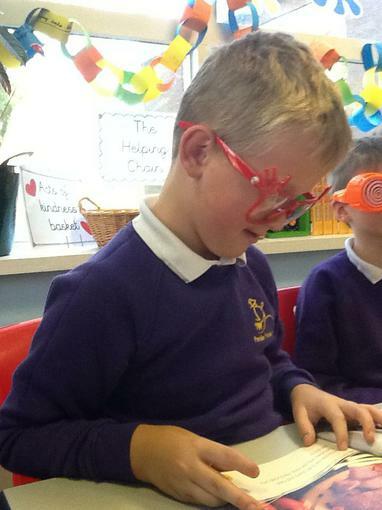 A group of children are writing predictions for a Horrid Henry story. 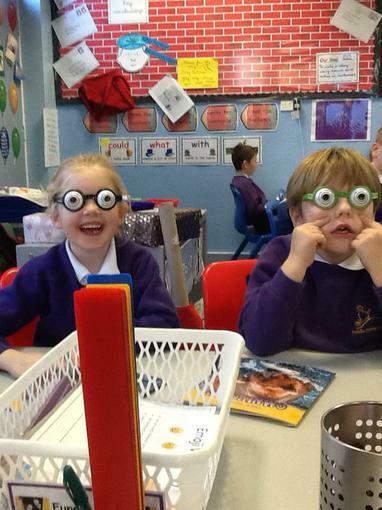 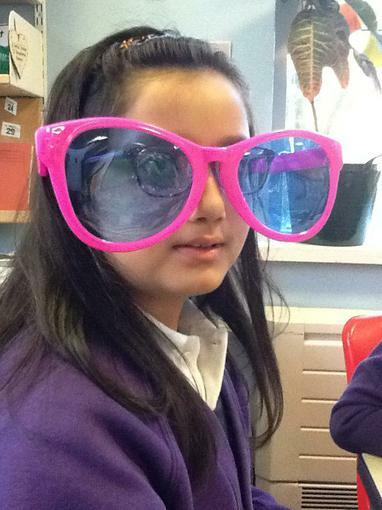 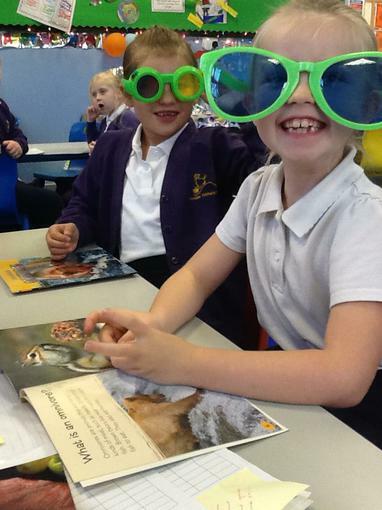 A group of children wore spotter glasses to find different features of a non-fiction book. 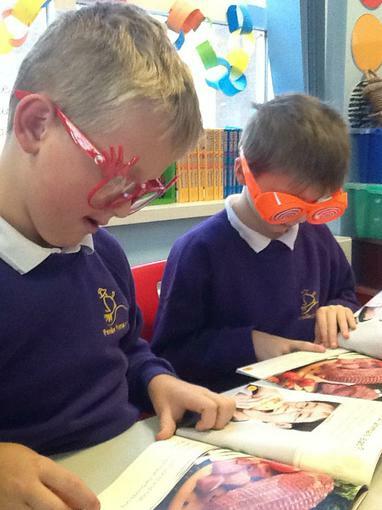 This group of children had to spot key words that was introduced before the guided read.